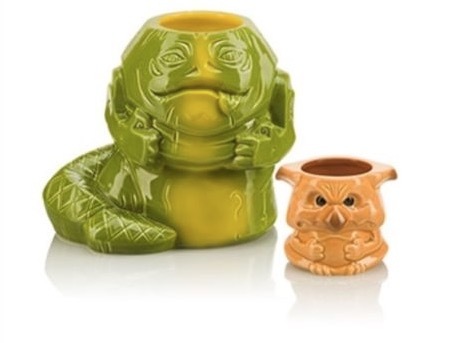 I posted about these celebration exclusives a while back, thinking that I would have to order them from a reseller on eBay, but thankfully ThinkGeek themselves have made them available on their site (as well as a “Series 2” collection of other Geeki Tikis). Plus, you get the Jabba & Salacious pin I mentioned in the previous post for free with a $50 order of Star Wars products — just enter the code “POODOO.” Supposedly it’s normally $14.99. That seems kind of high, but it is 2″ tall. In any case, thanks go to the reader who pointed this out to me. I’m relieved to have two of the main Celebration exclusives on my list already checked off, and for less than I thought I would have to pay. I’ll post a review of them when they arrive.